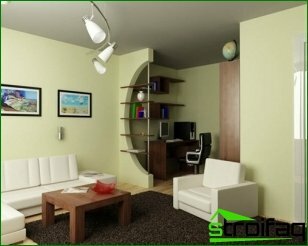 Design of a small bedroom. The main rules everything a small space. 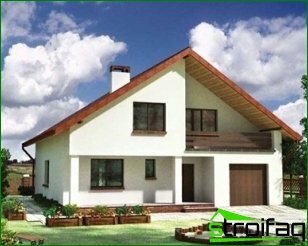 Therefore, it is the choice of the design bedrooms as hearthome, just have to be thought out and balanced. This is especially true of rooms space is limited, because the small bedroom in practice are often prone to two extremes: either bare minimalism that creates the illusion of non-residential rooms or excessive clutter. 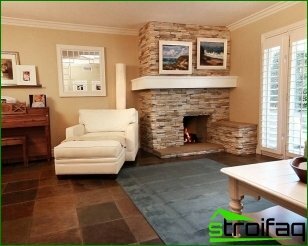 Therefore, when choosing a new interior should be guided by the following rules. 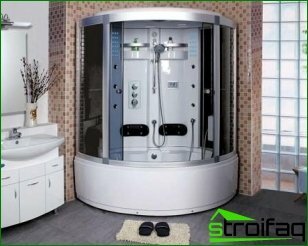 What will be equipped in a range of colorsbedroom, solves a lot. For example, if, in addition to the direct appointment, also a work room - burgundy color perfectly adjusts to light a creative way, to add business acumen and seriousness. Warm pastel tones to tune into peace and tenderness. The combination of contrasting colors add a room rigor and style. 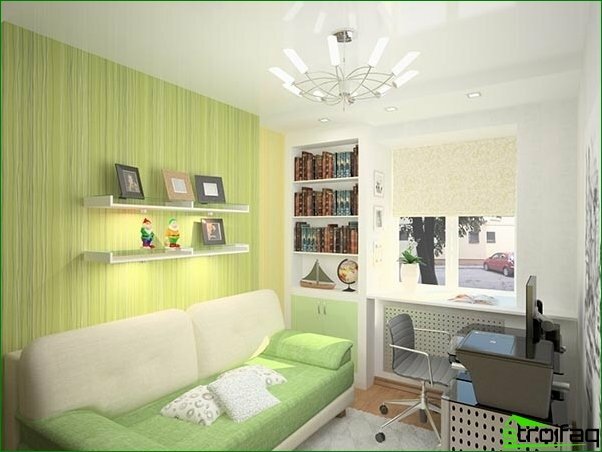 Do not use too bright colors - they are not for this room. Another's experience does not mean their own success. 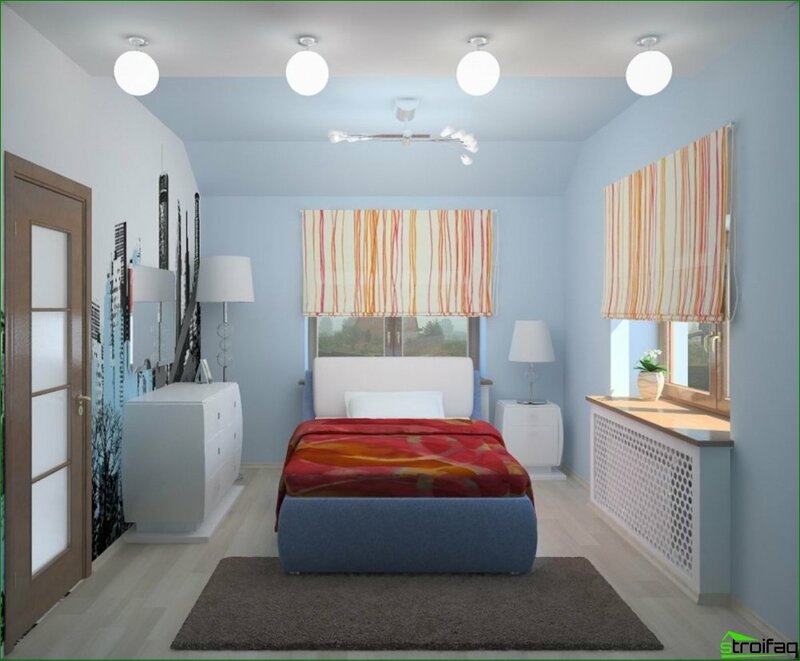 Often, when planning a new kind of his bedchamber,the first thing people do is introduced into a search engine: bedroom design photo, choose a favorite option and sincerely disappointed to find in the end is not identical to the version found. Can be found examples of the pattern, the starting point, but not subject to copying. The usefulness of each part. Small bedrooms often become overlytight or inconvenient to use because of the wrong selected furniture. Often, a bedroom on its functionality should contain much more than can afford the space. 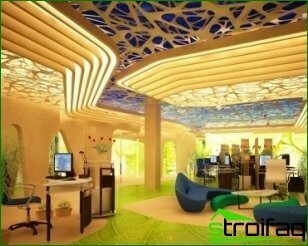 Therefore, the use of multi-functional furniture - the best option. For example, when used with countersunk cells bed for things no need chest. 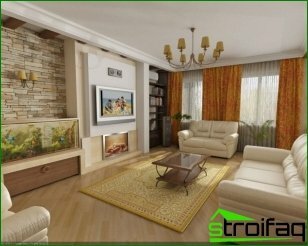 Before planning the details of the interior, it is necessarydecide on the style of the bedroom. Miksovanierazlichnyh styles often look ridiculous. Now choices allow you to pick all the attributes of a single collection. This will not only make the room refined andcompleted, but deliver us from the long search for suitable things to each other. Construction of a small bedroom - not easy. Too many nuances to be aware of. Too little space for the realization of all your design desires. But a good result is worth it. 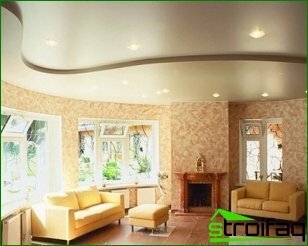 Design Tension ceilings: how to prepare for them the room?